For Christmas my parents brought me the 'Real Technique makeup brush set' it Included five brushes. The Multi-task brush, buffing brush, pointed foundation brush, setting brush and the essential crease brush. I have wanted this set nearly all year and I am so greatful to of recieved it for Christmas. 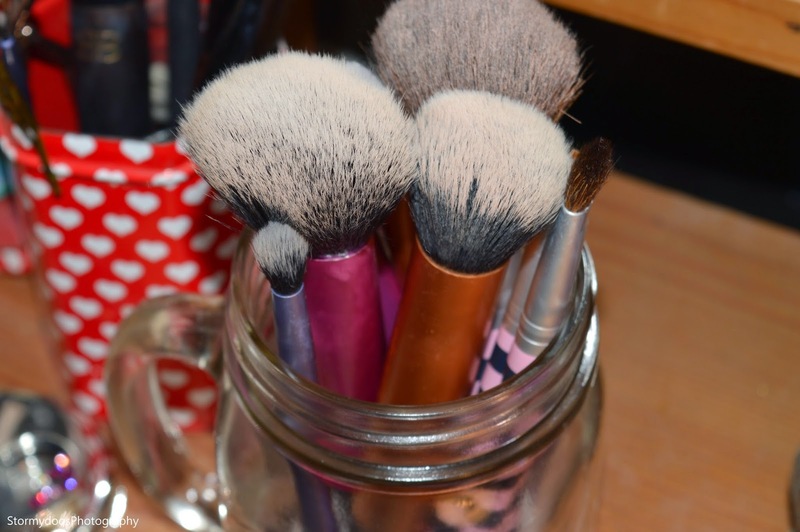 I suddenly realised that I didn't have enough room in my 'red heart vintage jar' on my dressing table for anymore brushes so I looked online to buy a new cute makeup brush holder although they all seemed pretty pricy and I wasn't really fond of any of them. I remember that a few weeks ago I brought a candle that was in a Mason Jar, I loved the 'hot chocolate' scented candle so much that I burnt it down to the point in which I couldn't possibly light it anymore without burning myself, so that wasn't an option. 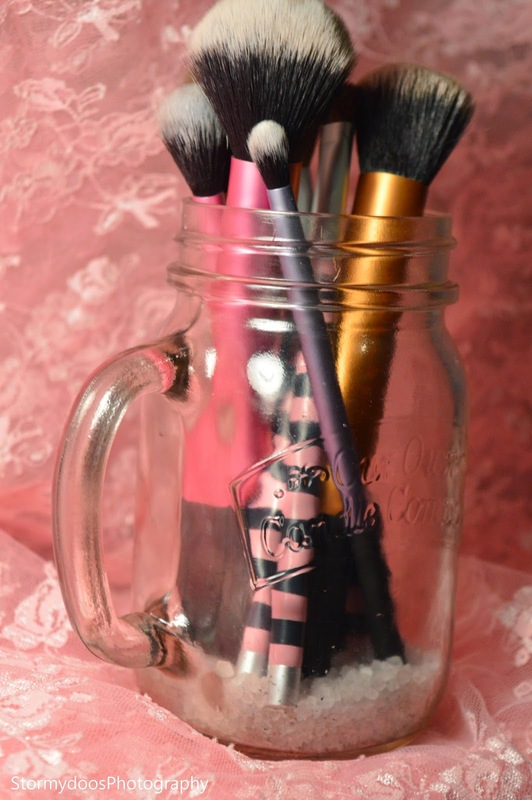 I washed the mason Jar out with boiling hot water and placed some scented crystals into the bottom and created a wonderful, cute, new Mason Jar for my makeup brushes! 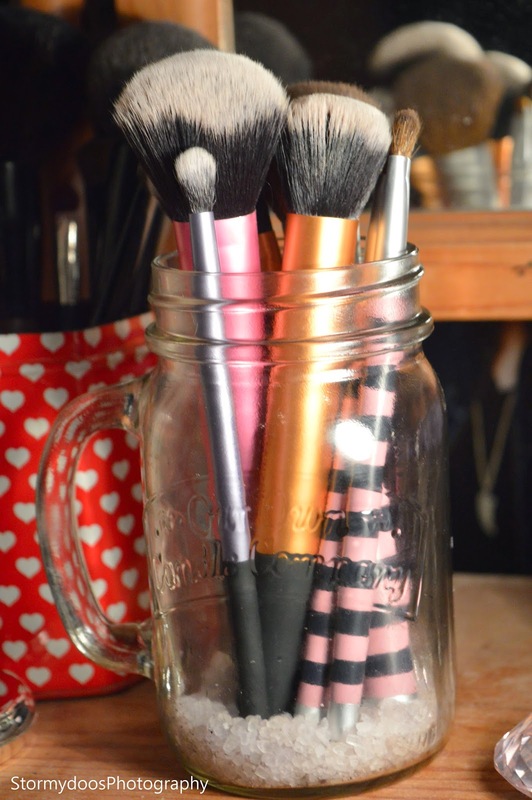 I am so happy with how it turned out, considering I was going to just throw the Jar out. It now has a new lease of life on my dressing table.